Lots of people think of recliner chairs and just think of the ‘lazy boy’ label. 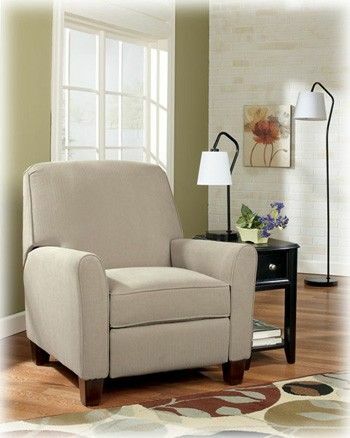 In reality recliners are comfortable and provide relief from a number of ailments. Recliners allow you to lie back, taking pressure off your spine. Sitting takes the weight off your legs, reducing pressure on your spine from supporting your body. Throw in the effect of the recliner to ease even more pressure from around your spine and the aches in your back with soon be soothed. Recliners support more of your body, taking the weight off the muscles in your legs and assisting blood flow, reducing swelling in the legs, ankles and feet. If you find sitting in the same position uncomfortable or painful a recliner may offer the solution. By adjusting the height of the leg rest or tilting the back support back or forth you can change the areas on your body that are under pressure. This is far easier that tossing around in the chair trying to lean to one side or otherwise shift your position. People suffering from osteoporosis and arthritis in particular find recliners help to reduce pressure on their spine and joints. By lifting your legs and making your body more horizontal your blood flow will be much improved. Gravity plays a big part in slowing blood flow in people with poor circulation. Using a recliner reduces the difference in height between your heart and legs. Apart from easing back pain, sitting in a reclining chair can also relieves other aches and pains associated with pregnancy. Some women feel pain in their abdomen from the extra weight they carry on the front of their body. Lying back in a recliner offers support underneath and shifts the weight the body’s centre of gravity.